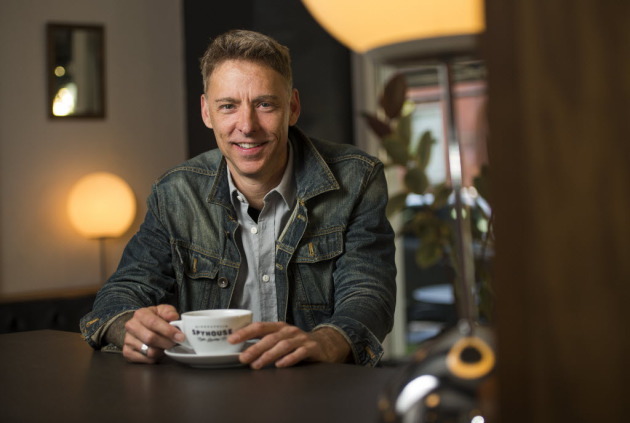 There’s a one-word reason why Christian Johnson, owner of Minneapolis-centric Spyhouse Coffee Roasting Co., has chosen a St. Paul site for his fifth coffeehouse, and that’s antiques. Over the past 15 years, Johnson became familiar with 420 Snelling Av. S. because the two-story brick structure was home to one of his favorite haunts, Timelines Antiques. 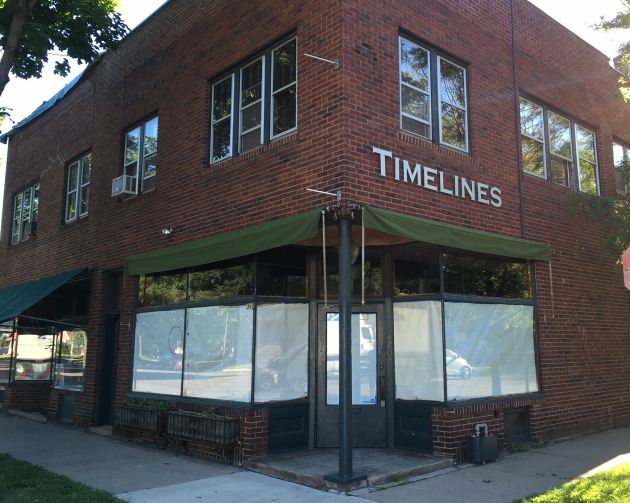 Timelines owner Jim Barnard recently closed the store, and opportunity knocked. At the moment, the new Spyhouse – it’s located at the northeast corner of Snelling and Palace -- is in the permitting process. Interior demolition on the 1930s-era building, a former corner grocery store, has begun. The shop’s footprint is best described as "modest," measuring roughly a thousand square feet (“It’s just a little bit bigger than my office,” Johnson said with a laugh), which will translate into somewhere in between 25 and 40 seats. (By comparison, the Spyhouse in the North Loop occupies 1,400 square feet). A patio is planned for the building’s back yard. Johnson, a tireless shopper with a discerning eye, is still ironing out design specifics, a critical detail for a business owner who places a premium on his shops' good looks. Rather than follow the Starbucks or Caribou model of design uniformity, Johnson’s properties each have their own distinctive appearance. A desire to pay homage to the building’s mercantile past got Johnson thinking about the heart of convenience store merchandise: impulse purchases. Specifically, candy. That was certainly his experience. Thanks to earnings from his Fargo Forum paper route, Johnson was a cash-flush preteen, and he dropped a lot of that dough in the candy aisle at the Stop-N-Go near his family's home. An enduring impression formed, and that nostalgic affection for inexpensive 1980s sweets may find its way onto the counter at the new Spyhouse. “Maybe three or four kinds of candy, I don’t know, I haven’t figured that out yet,” he said. 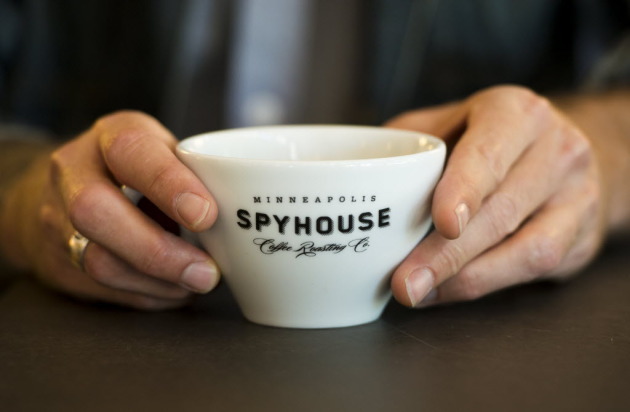 This much is certain: the shop will feature the standard Spyhouse menu: coffee roasted at the company’s showy northeast Minneapolis facility, and superb baked goods by Black Walnut Bakery. Johnson said that opening this fifth location isn’t an indication that another five, or 10, or 50 Spyhouses will follow. Growth has been incremental. Johnson's first Spyhouse opened at 25th and Nicollet in 2000. The second, at Hennepin and 24th, came along eight years later. The cafe, roasting facility and training lab at Central and Broadway in northeast Minneapolis debuted in 2013, and the North Loop location will mark its second anniversary in August. Johnson also opened the Bad Waitress Diner in 2005, and sold it in 2013. “And I’m never going to open another restaurant,” he said. "The cash flowed well, but it was hard for me to concentrate on two brands. I have a lot of respect for people like Kim Bartmann, who can have 72 successful brands [for the record, the Minneapolis restaurateur operates eight properties, and just announced that she's adding another in the space currently occupied by Cafe Maude, a collaboration with former 20.21 chef Asher Miller]. That just blows my mind." He likes his new close-to-Macalester College neighborhood.